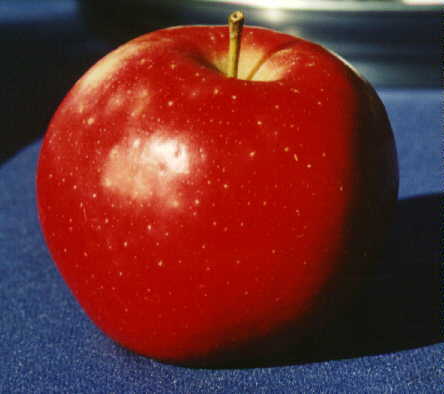 Large round apple whose color varies from reddish green to red. Best baking apple. Keeps its shape when stuffed with spices, raisins, etc., and baked in the oven until tender. Ripens late October in the Willamette Valley.